Part of the second collection from Nike and Fear of God designer, Jerry Lorenzo. Fear of God founder Jerry Lorenzo's history with the Air Raid can be traced back to his high school years, where the designer first saw the sneakers on a fellow classmate. It was the first pair of Nikes outside of the Jordan that Lorenzo felt an emotional connection to and in 2019 Lorenzo is going full circle with an Air Raid of his very own. 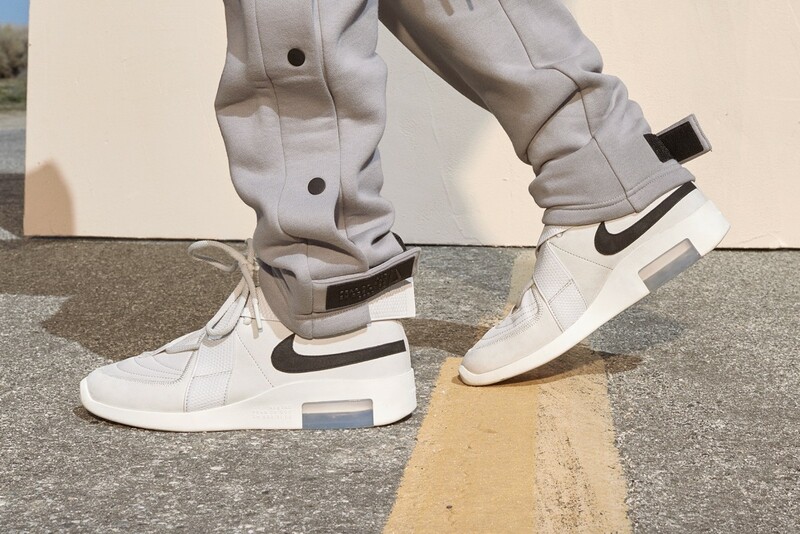 The Nike Air Fear of God Raid streamlines the original styling with a cleaner look and the exclusive last that has become a signature of Nike Fear of God lineup. The Air Fear of God Raid will be available on April 27th.